Now Announcing: Kids Day, 2012! For most Valley residents, the words “Kids Day” bring to mind images of volunteers standing on street corners, dressed in neon vests, and waving newspapers at passing cars. For Fresno State students, Kids Day means its time to scope out a prime corner and pull out the sleeping bags. 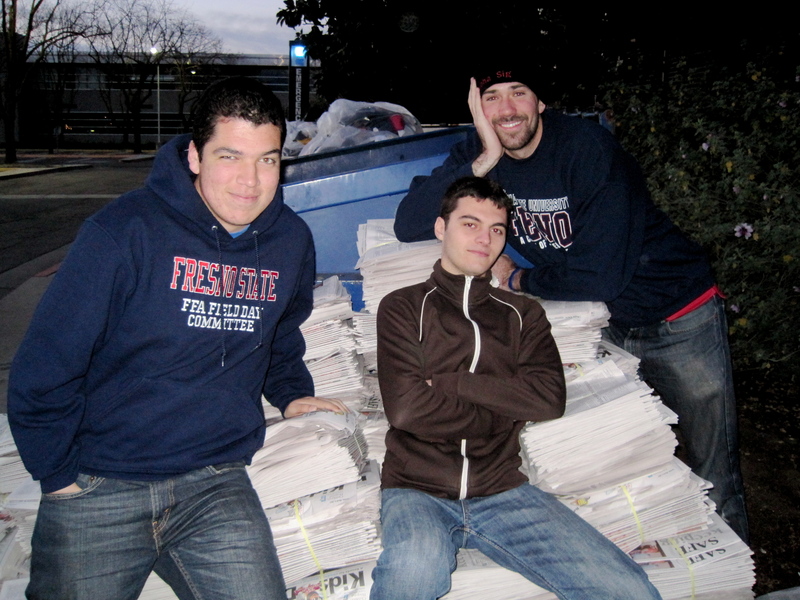 Fresno State students sell special-edition Fresno Bee newspapers for Kids Day. A benefit for Children’s Hospital Central California, Kids Day is one of the Valley’s largest fundraising efforts. 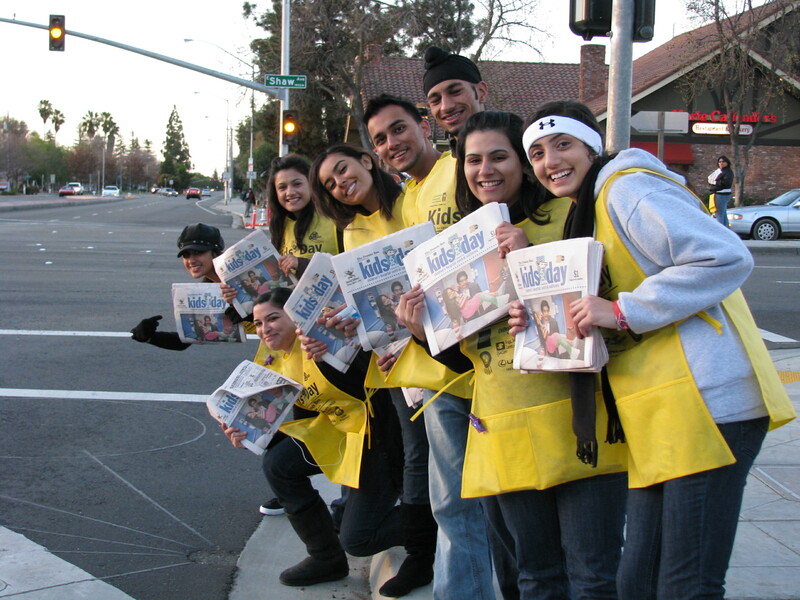 Each year, well over 1,000 Fresno State students volunteer to sell special edition Fresno State newspapers. Competition between student organizations to sell the most papers often drives students to stake out the most popular street corners as early as the evening prior to the kickoff. With this year being the 25th anniversary of Kids Day, we hope for record breaking sales. So far, registration for the event has been a great success, but more volunteers are needed. If you would like to register to participate on Tuesday, March 6th, or for more information, please click here.